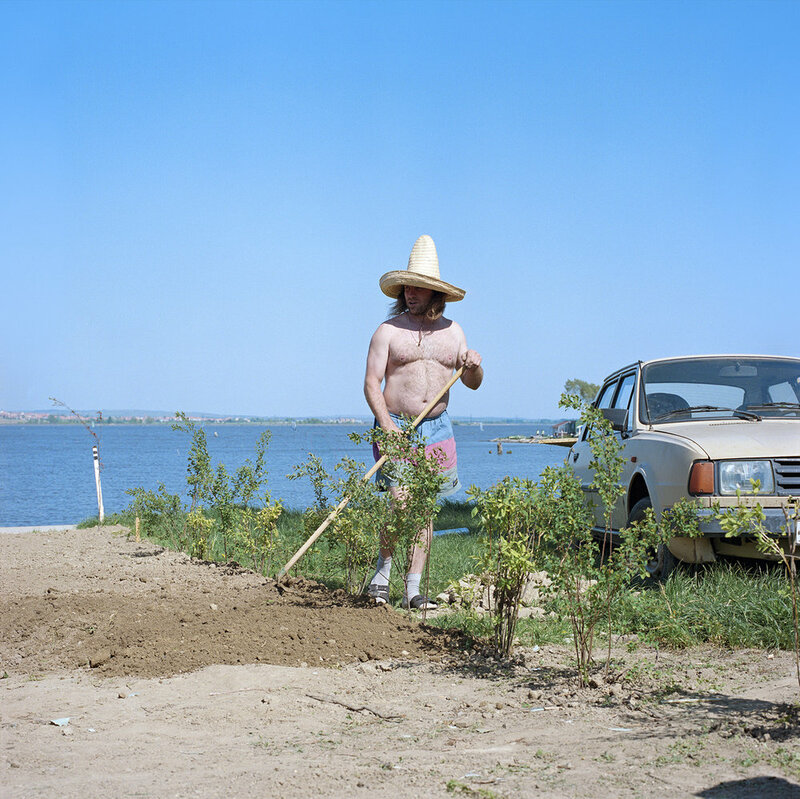 Evžen Sobek's color series "Life in Blue" documents leisure-time activities by the shores of a reservoir on the southeastern tip of the Czech Republic. In particular, Sobek focuses on a group of formerly nomadic caravanners--travelers who take vacations in their campers--who took up permanent residence by the lake. For reasons that are unclear, this community of "former" caravan people gave up the freedom and liberty of movement, wandering, and meandering to settle in their once-mobile homes in Southern Moravia. 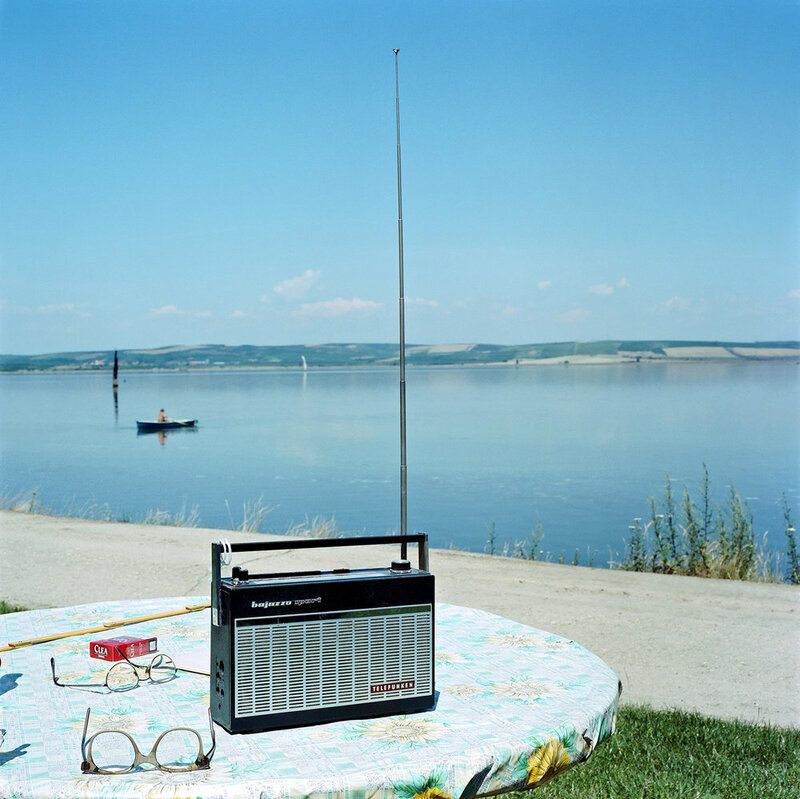 Czech essayist Jiří Siostrzonek describes Sobek's series this way: "A number of the photos evoke the minimalistic pictures of the New Topographers. Others elicit smiles and amazement at the subtle depiction of unwanted or, actually, wanted charm. With time, however, we realize that the photographer has presented us with an interesting social phenomenon--a view of a special leisure activity of people who have decided to create their second homes in bizarre architectural artifacts in a chosen place in the great outdoors." Evžen Sobek was born in Brno, Czech Republic, in 1967. Sobek attended the University of Technology in Brno and trained as a technical draughtsman before transferring to the Institute of Creative Photography of the Silesian University at Opava. Currently working as a freelance photographer and photography instructor, the focus of Sobek's work has been documentary photography. He garnered early acclaim for his photo series depicting the life of Premonstratensian monks in Zeliv, a village in the Czech Republic, and another focusing on the day-to-day life of Roma (also called Gypsy) living in his hometown of Brno. 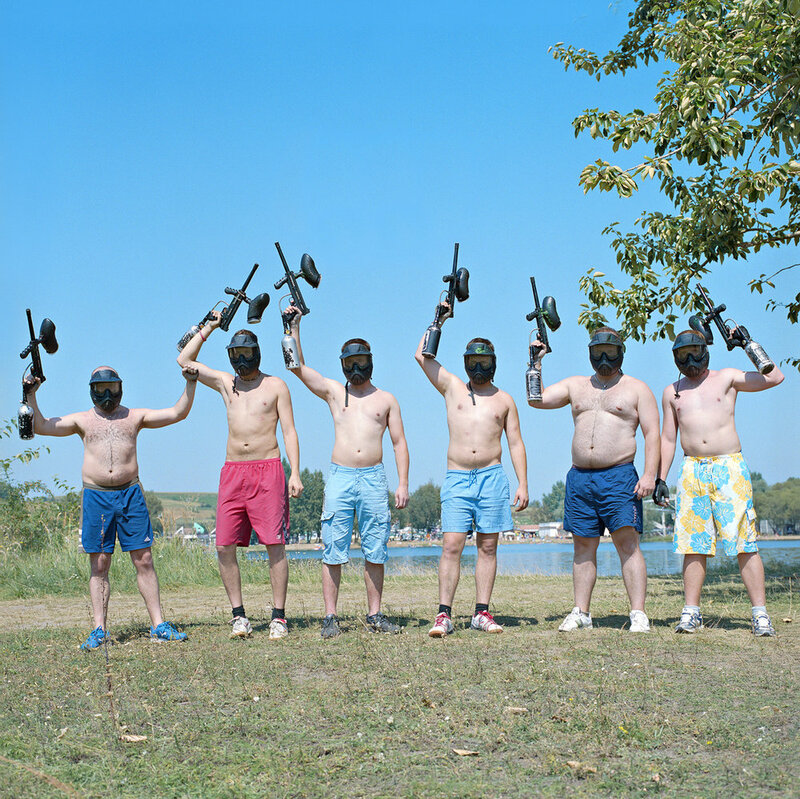 "Life in Blue" was awarded an Honorable Mention by the 2010 Lens Culture International Exposure Awards, and will be published as a monograph by Kehrer Verlag in 2011. Sobek's work is in numerous private and public collections, including the Museum of Fine Arts, Houston; the School of Visual Arts, Osaka; and the Museum of Applied Arts, Prague. He is founder of the Brno Photography School and the Fotoframe competition.